Warren Buffett is not worried about the fiscal cliff. While it's not ideal, the founder of Berkshire Hathaway (BRKA) thinks that President Obama must be willing to keep pushing for higher taxes on the wealthy, even if it triggers the fiscal cliff that would lead to the automatic onset of tax increases and spending cuts on Jan.1. The U.S. economy, he said, can weather it for a month or two. 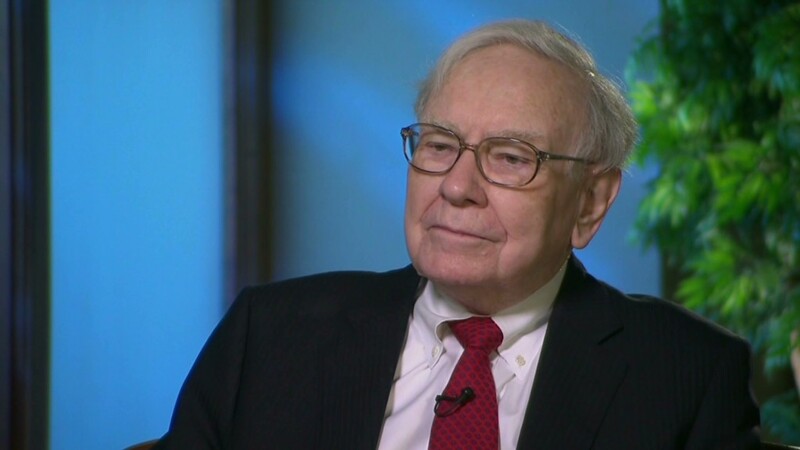 "We're not going to permanently cripple ourselves," Buffett told CNN's Poppy Harlow in an exclusive interview at Berkshire Hathaway's Omaha headquarters Wednesday. Buffett shrugged off the Congressional Budget Office's warnings that failure to address the fiscal cliff by Dec. 31 could lead to a recession. "We have a very resilient economy," he said. "The fact that [lawmakers] can't get along for the month of January is not going to torpedo the economy." He also advocated a twist on the so-called Buffett Rule, which would force anyone who makes more than $1 million per year to pay a minimum tax rate of 30%. Buffett said Wednesday that a new U.S. tax system should be progressive for the ultra-rich, meaning that anyone with an annual income of $10 million should pay more than someone earning $250,000 per year. Corporate taxes and taxes on capital gains and stock dividends could all be increased without stifling growth, said Buffett. "I lived through the 1950s and 60s with rates far higher for capital gains taxes, and corporate taxes at 52%, and our economy boomed,' he said. Buffett laughed off concerns that higher capital gains taxes could change how individuals invest in stocks or bonds. "Never in 60 years of managing money have I come up with an idea and had someone say 'I'd do it but the tax rates are too high'." Buffett also said he sees the economy improving and that jobs will eventually follow. During the presidential campaign, both Obama and his Republican challenger Mitt Romney came up with scenarios for creating 12 million jobs over the next four years. Buffett wouldn't rule that out. "We will gain a lot of jobs in the next four years. I can promise you that." Meanwhile, housing is recovering at a tepid pace, which Buffett said is the right speed. "We wouldn't want a big boom. We were building way more houses than we were creating households. Now we've created more households than houses." The biggest drain on the U.S. economy and U.S. growth going forward is health care. "It's the tapeworm of our economy," Buffett said, noting that health care costs currently account for 17% of U.S. gross domestic product. While he praised Obama for ensuring that all Americans have health care coverage, he something further must be done to address rising health care costs. On this front, Buffett was decidedly less optimistic. Citing $2.6 trillion in annual U.S. health care costs, compromise there will be more difficult. "Every one of those dollars goes to someone, and they have a runaway cost problem," said Buffett. Correction: An earlier version of this article incorrectly cited $250,000 as the highest tax bracket for married couples.